Please take a minute to review our testimonials both here; and on Facebook. 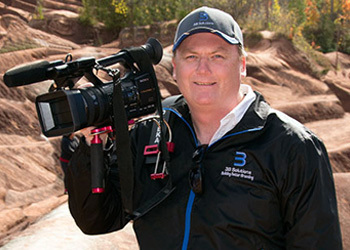 John Ironside is a 25 year veteran of the international media industry, who in addition to having worked in virtually every form of media has also taught those subjects at Fanshawe College in London, and at the Vancouver Institute of Media Arts. 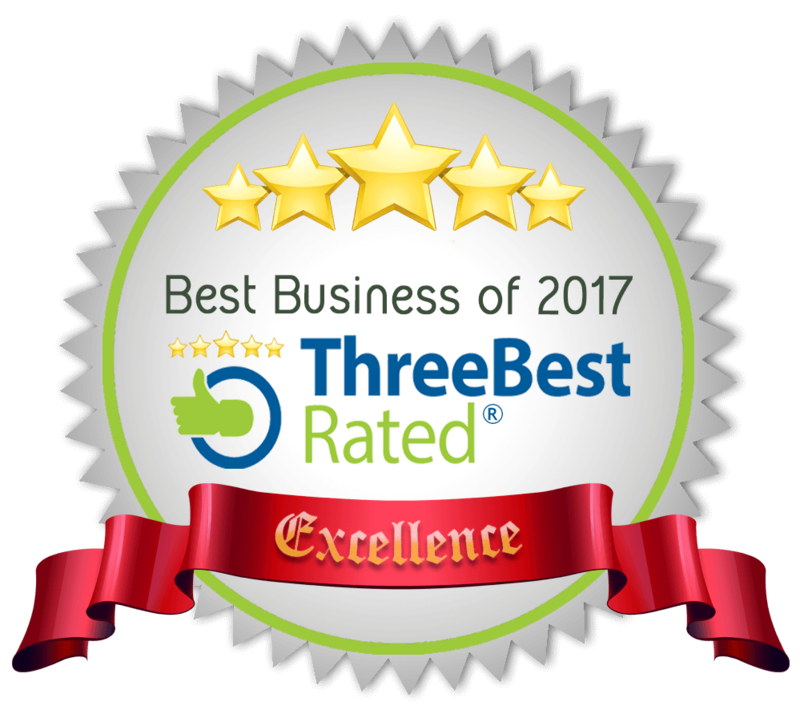 John's primary roll at 3B Solutions is that of video producer, and he has been acknowledged by the independent consumer reporters of Three Best Rated as being the best videographer in Barrie. In addition to having extensive experience in broadcast and corporate video production, John has worked as a photojournalist and then Deputy Editor of a national European newspaper, and as news camera and photographer in places like Bosnia and the Middle East. John's experience in documentary production ranges from the Ontario Ministry of Natural Resources to Greenpeace in Europe. John started 3B Solutions in 2012 after being hired to promote a local medical aesthetics clinic. As a direct result of John’s out-of-the-box thinking the clinic saw a 40% increase in real sales in just one year, resulting in a dramatic increase in the stature of the clinic. Since then, our team has worked with doctors of various kinds, both traditional and naturopathic, including several medical aesthetics clinics located in cities across the country. 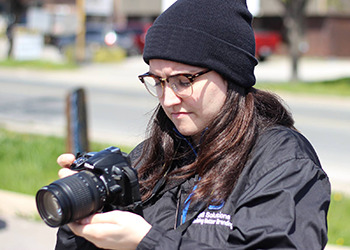 Tiffany Scott is an up and coming videographer and photographer who has lived most of her life in Barrie. She has always had an interest in film and media, which lead her to study media, and graduate from of a two year television and broadcasting program with a Specialist High Skills Major in Arts and Culture. Tiffany has produced various short films and promotional videos, and during the past seven years she has worked in various capacities in theatre, both acting and as production. Tiffany works with Five Points Media as a production associate, working on location at shoots and in the studio. Sarah Davis is a graphic designer who has worked on projects ranging from logo creation to website design and the layout of custom printed materials of every kind. Sarah is extremely flexible in her abilities, and she consistently exceeds the expectations of those who work with her. 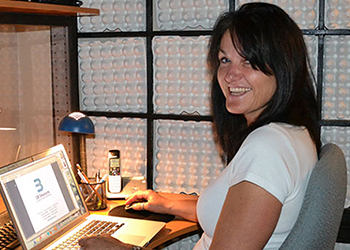 Sarah earned a Graphic Design, Advertising Diploma in 1994, and then went on to earn a Bachelor of Professional Arts in Communications in 2008. Now she has completed her Masters of Business Administration. Sarah consistently delivers professional quality graphics design no matter what the media, and she is both creative and intuitive. These characteristics combined with her knowledge and skill make Sarah an excellent choice for any graphic design needs. One of Sarah’s best qualities is her ability to create original logos that are relevant, thought provoking, inventive, and memorable. Sarah does not just create a logo, she strives to create an impressive visual statement. Sarah lives in a world of creativity and uniqueness, and she has always exceeded our expectations and those of our clients. 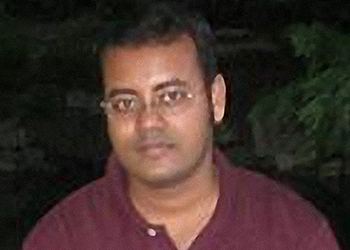 Ahsan is a 3D Artist who brings with him more than ten years of professional experience in animation and game creation. He is formally trained as a graduate of the Diploma Program in Digital Animation at Centennial College. As a generalist, Ahsan is capable of modeling, rigging, texturing, creating UVs, creating multi-layered shaders, character animation, blend shapes, dynamics, lighting, rendering, visual effects, roto-scoping, green screen removal, rig removal, composition, camera tracking and match moving, motion capturing, transferring live skeletal animation and facial expressions, etc. Jen McDonald is a highly experienced and multiple award winning make-up artist and hair stylist. After working for over five years as an artist for M.A.C Cosmetics, Jen decided to take her knowledge and share it with up and coming cosmetics professionals by accepting an offer to become their instructor. Outside of the classroom, Jen has excelled by utilizing her talents as a makeup and hair styling artist on video and photo shoots, talent shows, and other aspects of the fashion industry. Jen is also a huge supporter of Sick Kids and Heart and Stroke, and in line with our team philosophy of paying it forward, Jen has donated her talents to fund-raisers such as fashion shows. Our team at 3B Solutions work to help our clients produce effective video content that will propel them in front of their competition. These productions are used very effectively online and at customer relations opportunities such as trade shows and point of sale kiosks. We also provide training videos, recordings of live events, documentaries, television commercials, and other purposes. Our expertise is earned through decades of experience in Canada and abroad; from working in virtually every form of media, and also theatre and business. We guarantee that our client’s message will reach their prospective customers and that their professional image will remain polished and appealing. When branding consider the power of a unique impression that will instantly make you remembered. Five Guys Burgers and Fries is a good example of unique branding in action, as in this age of peanut paranoia they have branded themselves as goober ground zero; not only by cooking their fries in peanut oil, but also by scattering the nuts throughout their restaurants. Peanut allergies affect only 1.1% of their potential customers. For 35 years our studio was a small, grey, nondescript rental property. In 2010 we saw its potential for business, as the intersection is used by more than 20,000 people every day. City bylaws zoned our corner as residential; however, in all directions buildings were used openly as commercial. The zoning was badly outdated as the community had grown faster than the expectations of city planners. A large sign was needed; however, ‘residential’ zoning permitted only a plaque about one foot square. We needed a ‘legal’ alternative. So, we read through Barrie’s bylaws, and learned that we could decorate our ‘house’ as we desired, and that we could post a sign identifying the building. We needed a name that had three ‘B’s and an ‘S’. Our producer is a British born Canadian who grew up watching Dr. Who; a British science-fiction series. In that program ‘The Doctor’ travels the galaxy in a ship called the TARDIS; which is camouflaged to look like an old English police box. One day it hit him that ‘The Doctor’ is known as ‘the madman in the big blue box’. The rest is history. Our unique building is part of our promotional materials, and it appears in all of our video productions. ‘Big Blue Box Studios’ is also the most used search engine inquiry relating to our business. Through innovative thinking we turned a potential negative into an profit earning positive. How can this kind of originality help your business?